"My iPhone got stolen recently but I am not upset about that, rather I am worried if I could recover my important official contacts from my iCloud backup. Please do advice and help me. " "I just took an amazing trip to Hawaii and made many contacts on my iPhone but unfortunately when I tried to save them on iTunes, my device froze and now all the contacts are suddenly deleted. Please tell me how can I retrieve them from iTunes on my Windows PC? " "My little nephew accidentally factory reset my iPhone and now over 200+ contacts are gone from my iPhone, is there any way to get them back? How to recover deleted contacts has been a delicate subject considering the importance of them in our lives. Our contact contains all the private and personal information of our friends, families and colleagues. So if you lost the contacts from your iPhone like the above 3 persons then buckle up because we are about to show how to retrieve deleted contacts from iPhone. In this tutorial, we are going to use an efficient and significant data recovery tool to retrieve your lost contacts from iPhone, iCloud and iTunes. iPhone Data Recovery is a single solution to restore deleted or lost contacts from your iOS device, iTunes and iCloud. That's correct, you can retrieve all kind of lost data from these services using the same tool. It is an incredibly fast and powerful iPhone data recovery software that monitors your completely iPhone and retrieve all erased contacts like a charm. It doesn't matter if your phone is lost or water damaged or bricked or factory reset or even if you accidentally erased them. It can restore almost all kind of data from your device such as photos, contacts, notes, music, videos, documents effortlessly and works with the latest iPhone 8 as well. Connect your iPhone to PC via thunderbolt or USB data cable. If you are using iPhone 7 or later version then you will have to click on "Trust this device" on your iPhone so that the tool can identify your phone. 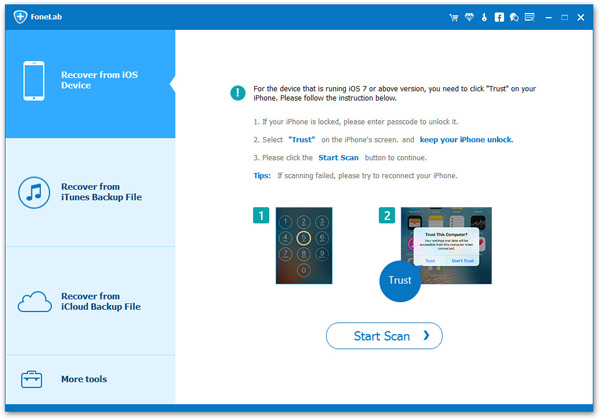 Choose "Recover from iOS Device" from the left sidebar and hit the "Start Scan" button to analyze your iPhone thoroughly. This may take few minutes, so kindly do disconnect your iPhone from PC. 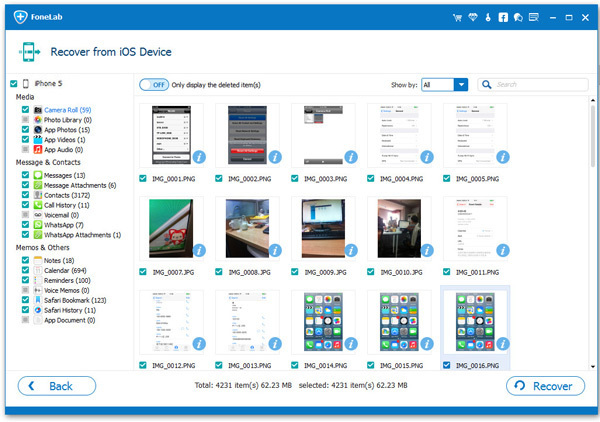 The data recovery tool will let you preview all deleted contacts from your device. Simply, select all the contact names and hit the "Recover" button to save them on your PC. If you couldn't find the deleted contacts via this method, then you can take a look at the following suggestions. If you had backed up the phone with iTunes then you can directly retrieve the deleted contacts from iTunes backup file. But remember, this part will only work if you have synced your iPhone with iTunes before erasing the contacts. Step 1: Launch iPhone Data Recovery program and this time choose "Recover from iTunes Backup File". Step 2: The program will automatically scan all iTunes backup files on that computer and display them on the screen. Please choose the right one. If there was a password on it, you need to input the right password before proceeding to the next step. Step 3: Once the scanning is done, iPhone data recovery shows you all the items from your iTunes backup file. Choose "Contacts" from the left sidebar and pick all the contact names that you want to restore to save them on your PC. iCloud is yet another service similar to iTunes that keeps a backup of iPhone whenever you sync it. 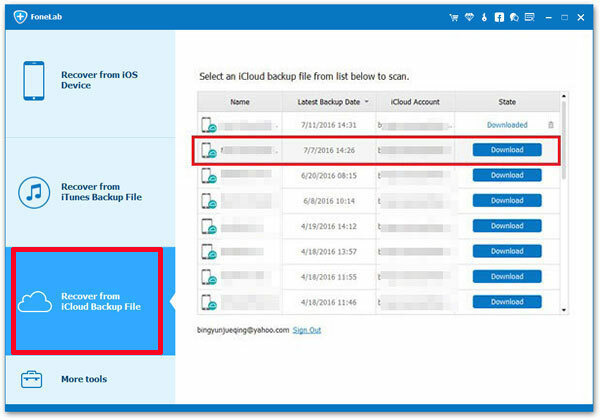 If you are using iCloud instead of iTunes then use the following steps to retrieve lost and deleted contacts from iCloud backup. 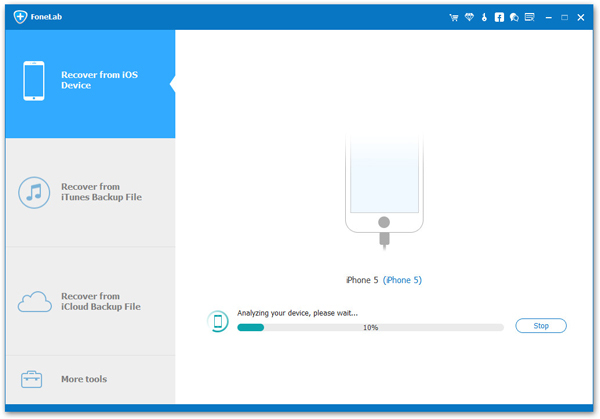 Step 1: Again open iPhone Data Recovery software and select "Recover from iCloud Backup File". 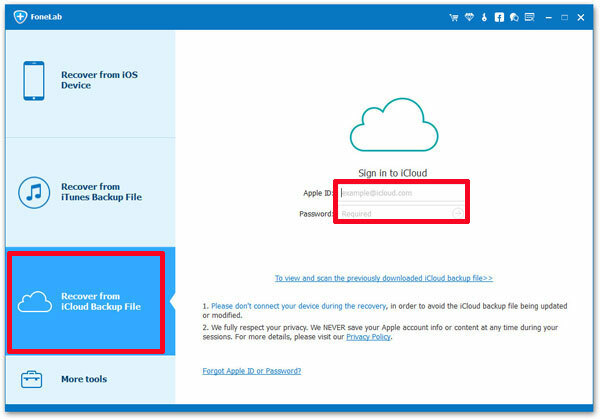 Step 2: Enter your iCloud login information and download the recent backup file of your iPhone. Step 3: Let the program scan the iCloud backup file and retrieve the lost contacts from your iCloud. Finally, select the deleted contacts from the list and press "Recover" to store them on your local hard drive. Note: iPhone Data Recovery offers to save contacts in several data formats such as XML, HTML, TXT and Word. Choose the desirable format and save the contacts on your computer. In this short guide, we have clearly shown how to recover contacts from iPhone even if you accidentally deleted them. 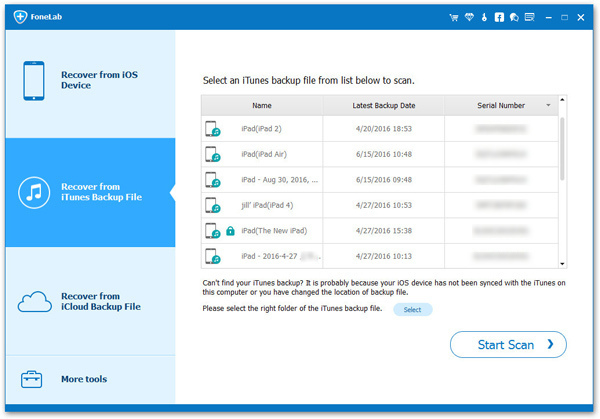 Remember to use a iTunes or iCloud to keep a backup of your entire iOS device so that you can recover data in the future if needed. iPhone Data Recovery has helped millions of satisfied customers to retrieve their important lost contacts, pictures, documents and other private stuffs in desperate times. So, if you are in the same situation as well then do not hesitate to give this program a try.